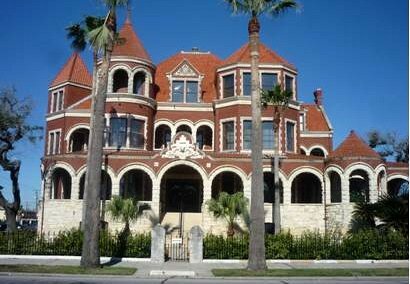 Galveston Moody Mansion describes the home life of a powerful and successful Texas familywho built a financial empire based on ranching, cotton, banking, insurance and hotels. The mansion was originally built for Mrs. Nacissa Willis in 1895 by Pottier & Stymus firm which numbered the White House among its clients. It was bought by W.L. Moody, Jr. after the 1900 storm. The wishes of Mary Moody Northen, the last family member to reside in the house was to turn it into a museum. Today, visitors coming to Galveston are welcome to tour the vast personal effects and furnishings of the family. Some of these collections include furniture, costume and textiles, china, silver, household goods, jewelry, automobiles, and objects obtained through the family's travels. Do visit each room because they are all decorated in different styles. It's a memorable experience to explore the house and the restored Moody family cars. Tour guides present an hour long friendly and well-informed tours through the Moody Mansion museum.